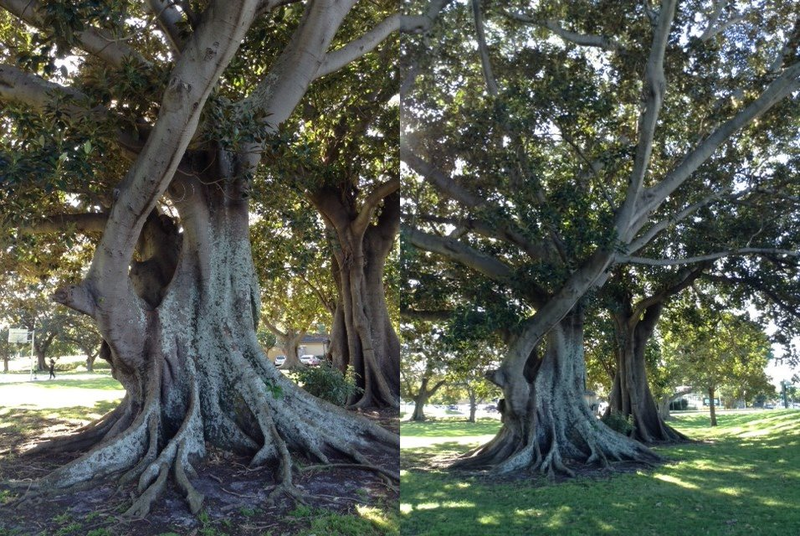 During my exploration of Rose Bay while in Sydney I came across a nice stand of Moreton Bay fig trees (Ficus macrophylla). It is best known for its beautiful buttress roots. 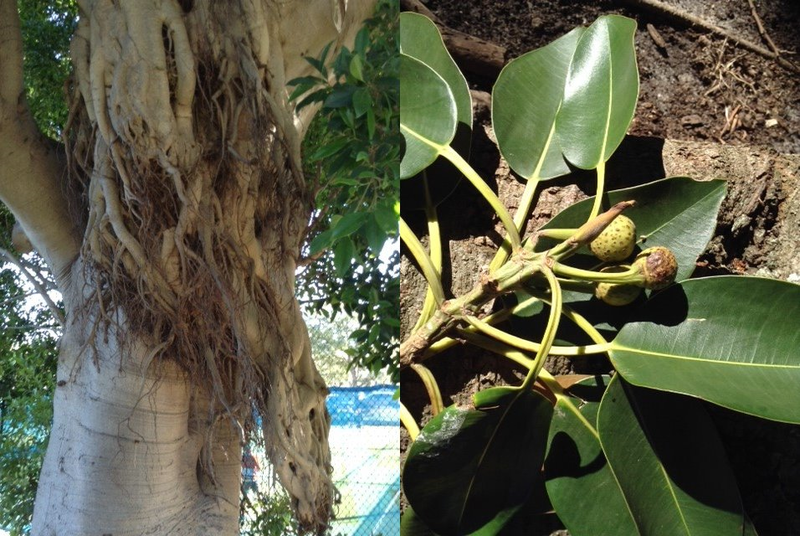 This is just one of the many native fig trees which grow around the country. Others start their life as epiphytes (or stranglers) and when their roots reach the ground they begin to envelope their host tree eventually killing it. Others produce adventitious roots which hang from the branches and, when they reach the ground, thicken and appear as secondary trunks. The fruit of these trees is very attractive to bird life and flying foxes ie. fruit bats.